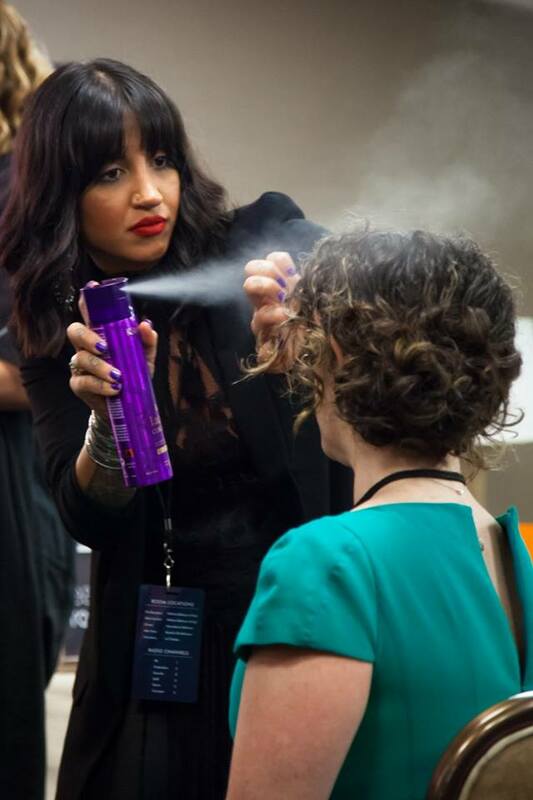 Advocates for equality ourselves, it was truly an honor helping the A-listers get ready for the evening at the 27th annual GLAAD Awards. 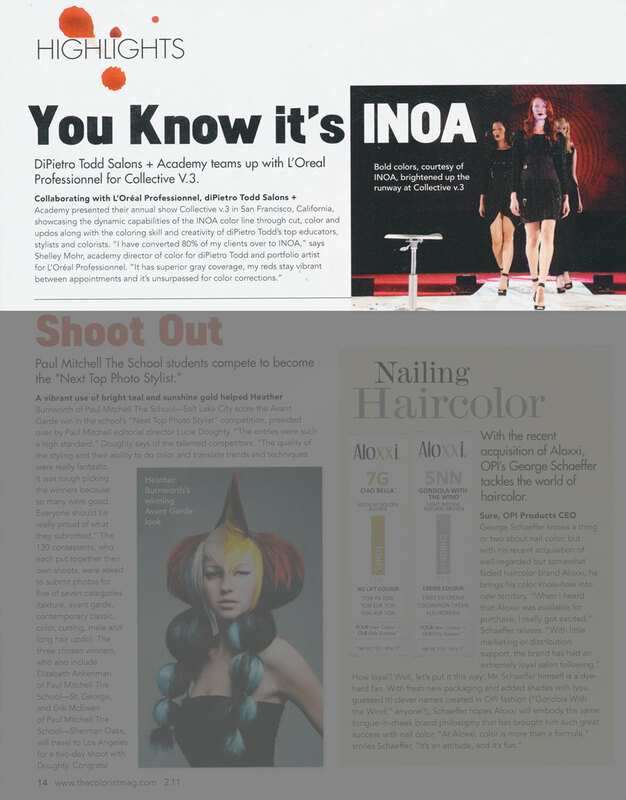 Moises Villa and Nona Zandinejad traveled to Los Angeles to do hair and makeup for the event, which celebrates and honors the representations of the LGBT community in the media. 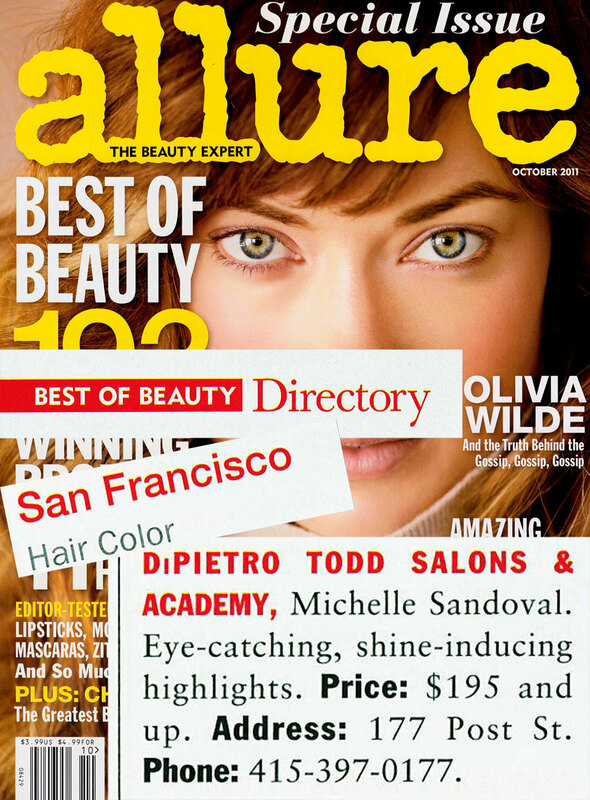 diPietro Todd Salons + Academy in San Francisco, California, owned by Andrew Todd & Kim Todd, was recently honored by a national industry magazine for excellence in salon and spa marketing and promotion. 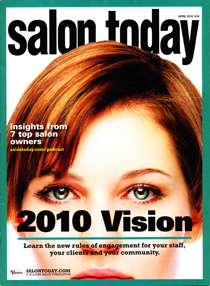 The salon earned a STAMP award, which stands for Salon Today’s Annual Marketing Program, in the category of Email Newsletters. 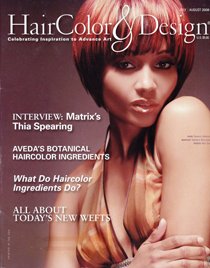 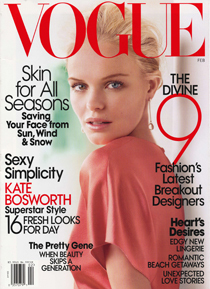 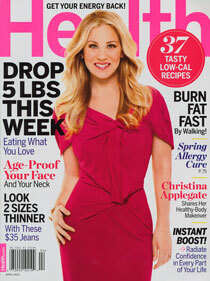 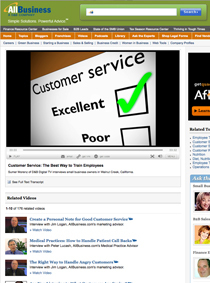 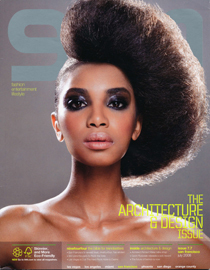 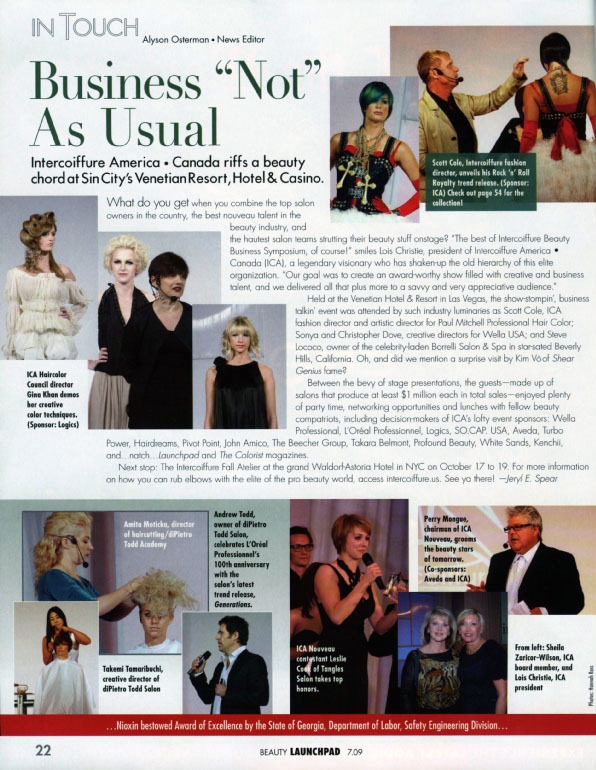 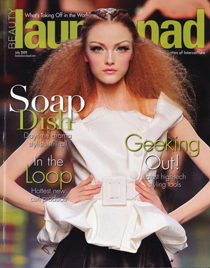 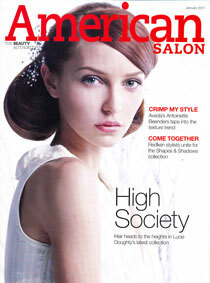 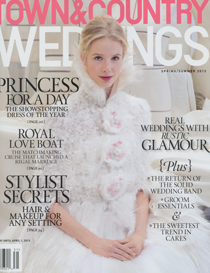 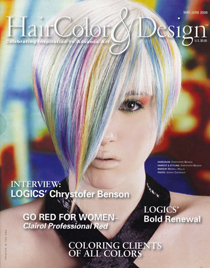 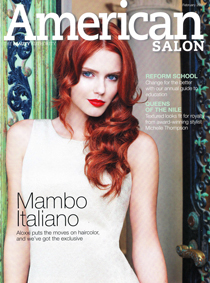 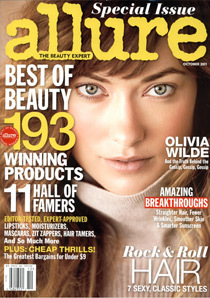 Salon Today is the leading business management publication of the professional beauty industry. 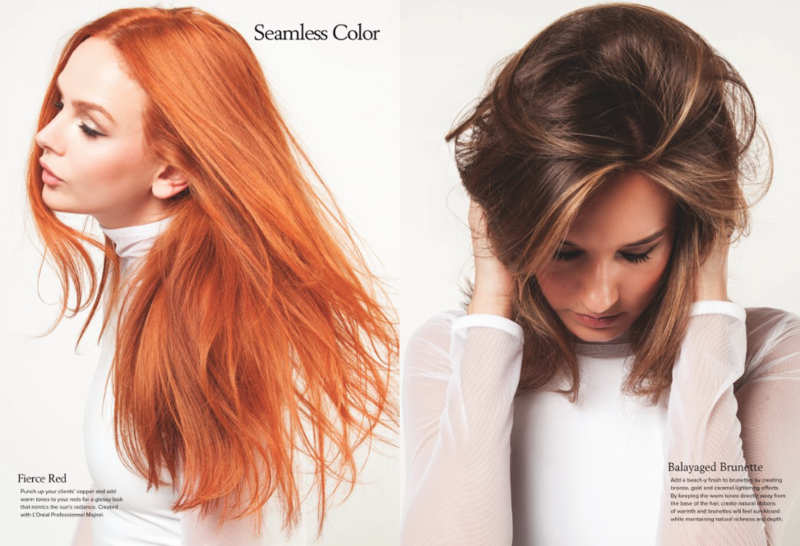 Emily Kern is showcased for her “Seamless” color collection which highlights natural looks for summer. 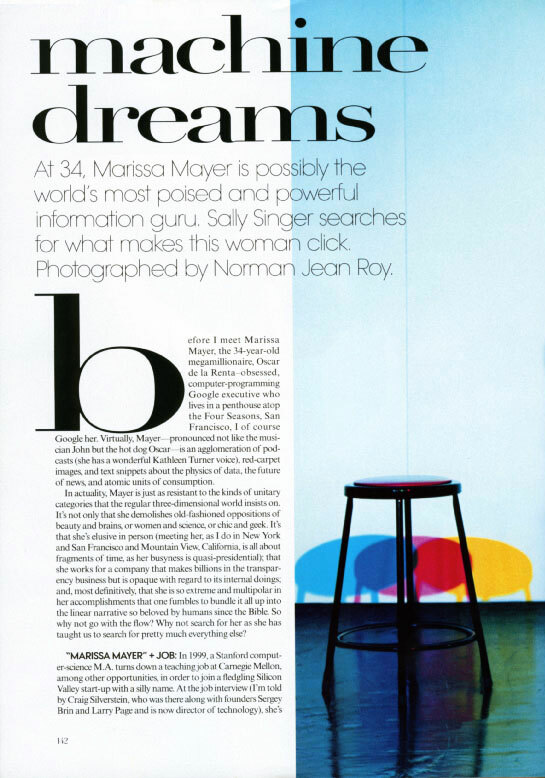 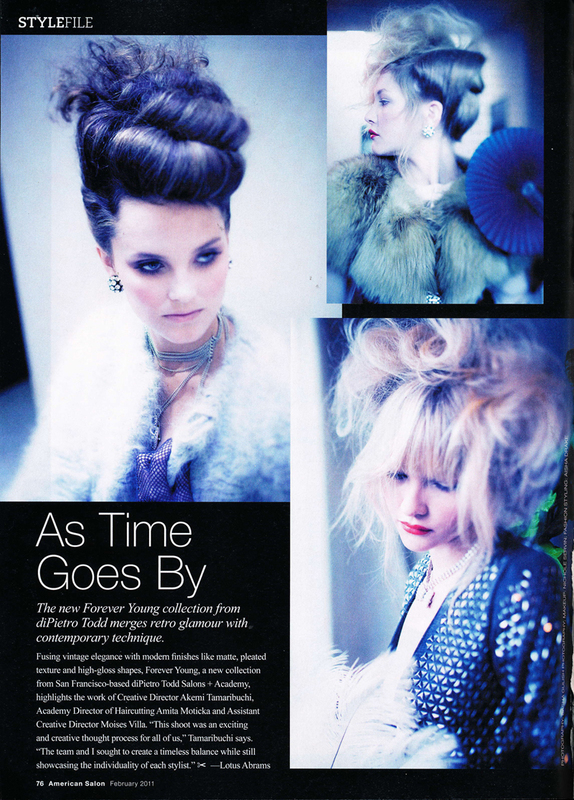 Creative direction and styling by Moises Villa and the creative team including Coco Leiva. 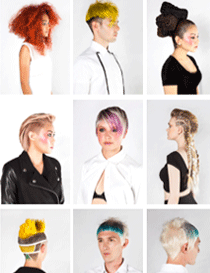 Our students/apprentices are commended for their beautiful work on their 2014 collection “Ethereal”. 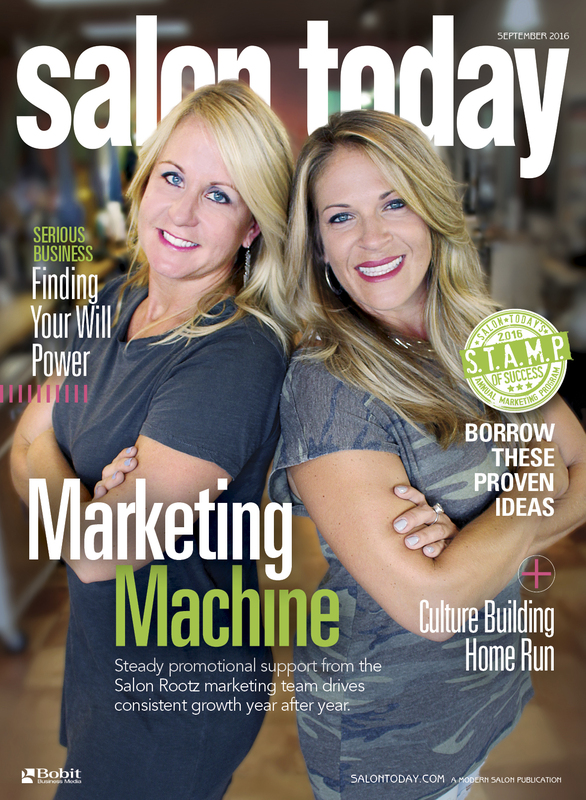 Our Development program is led by directors Emily Kern and Debi Alley. 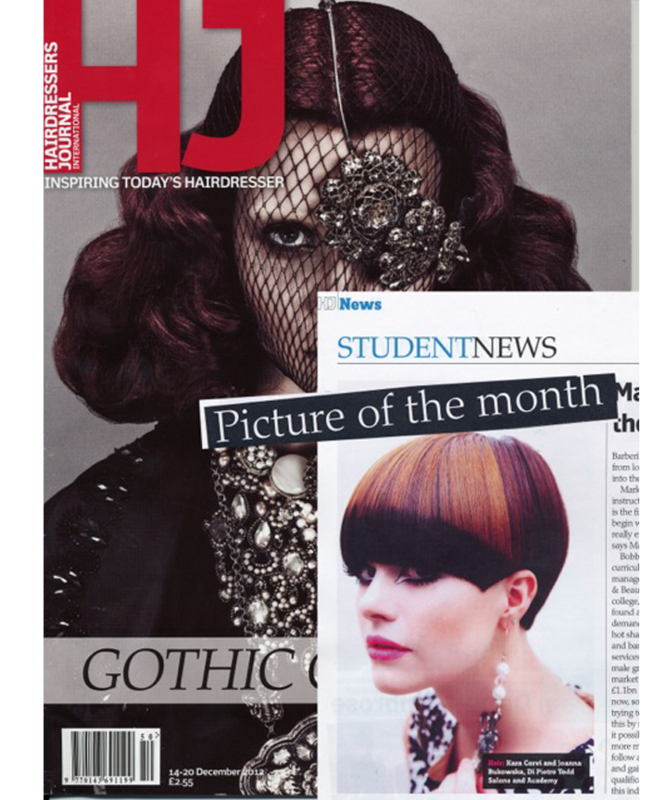 Recently graduated diPietro Todd apprentices featured in the “Student News” section of Hairdresser’s Journal for one of their soiree models. 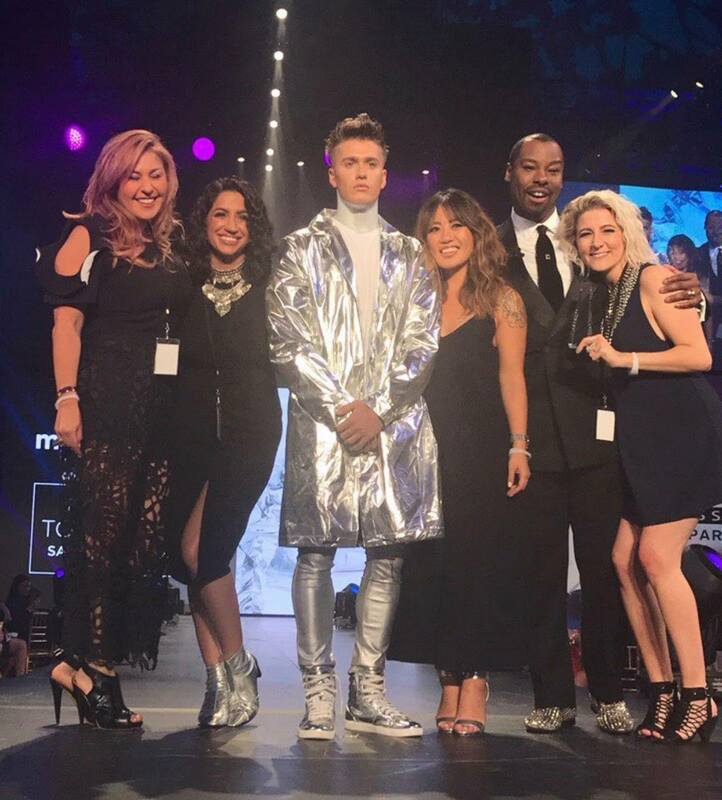 When a Development student graduates our training program, they curate their own themed fashion show or soiree. 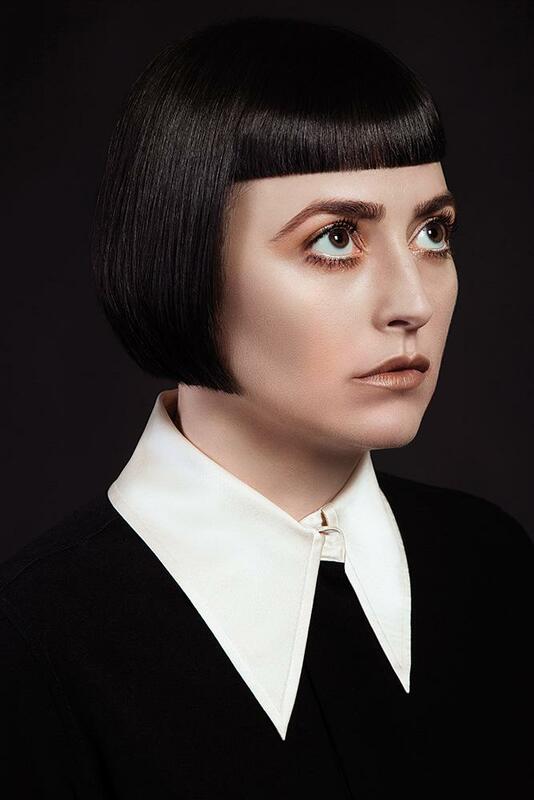 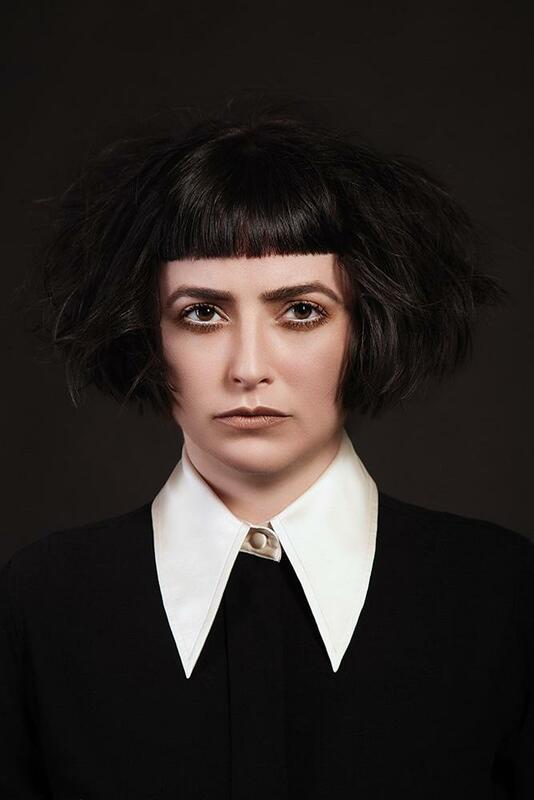 This image comes from Kara Corvi and Joanna Bukowska’s show which was 60s themed and titled “Retro Renegade”. 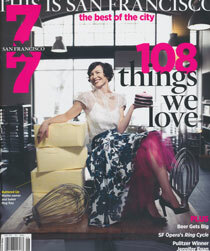 Directory, Painting the Town. 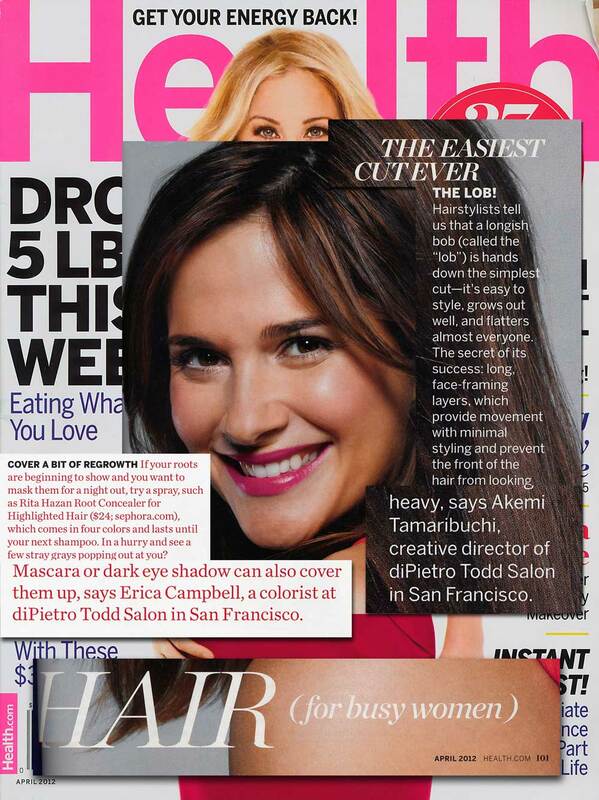 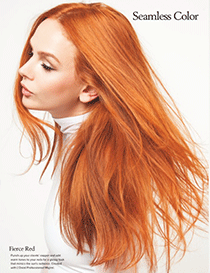 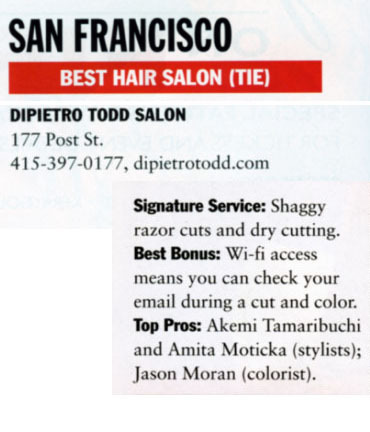 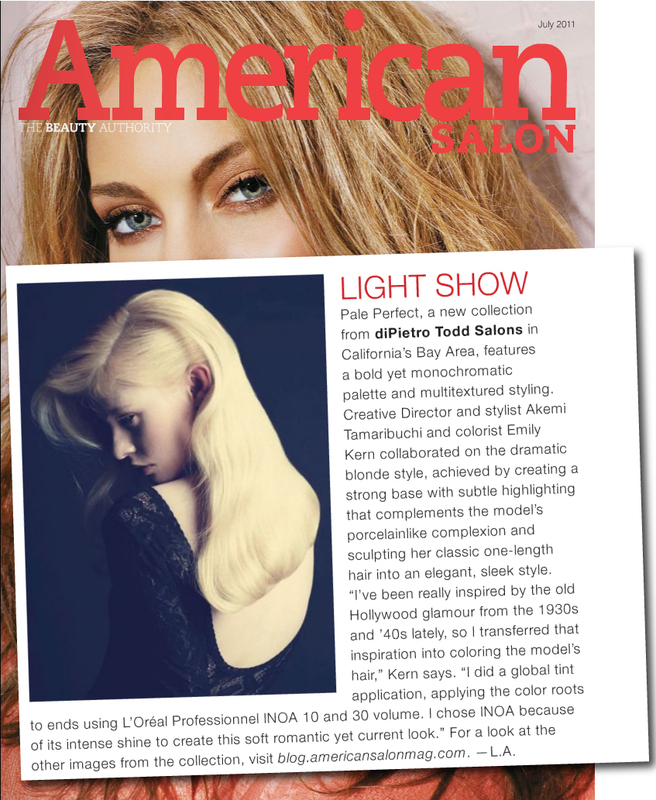 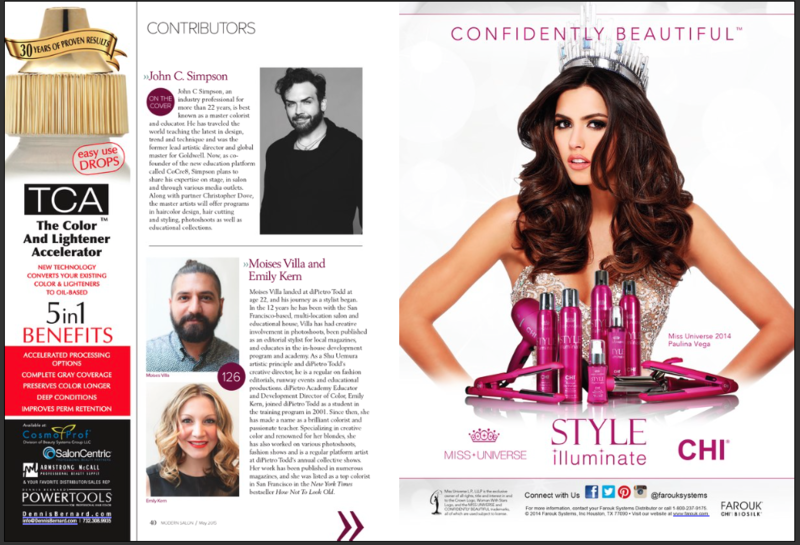 Best colorists and stylists by city including diPietro Todd colorist Erica Campbell. 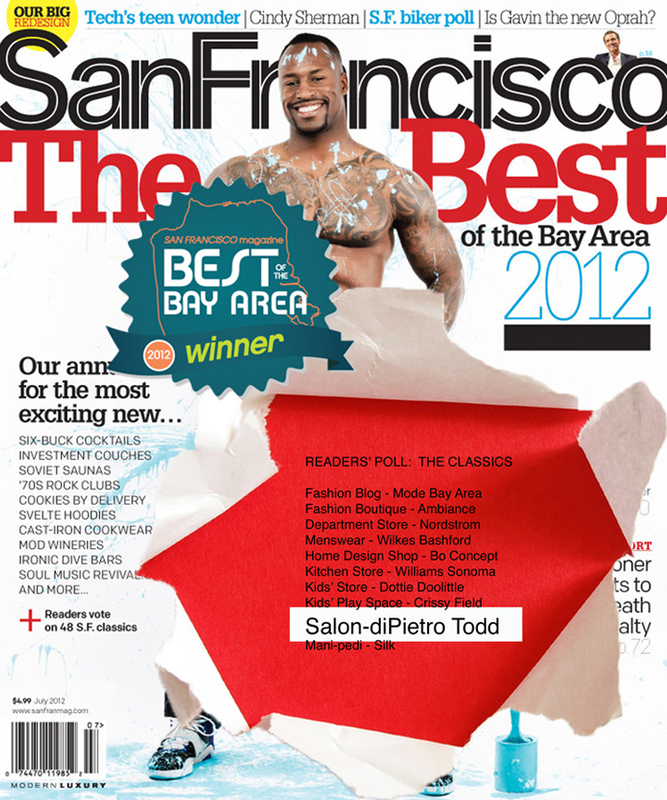 Voted Best of the Bay 2012 by the readers of San Francisco Magazine. 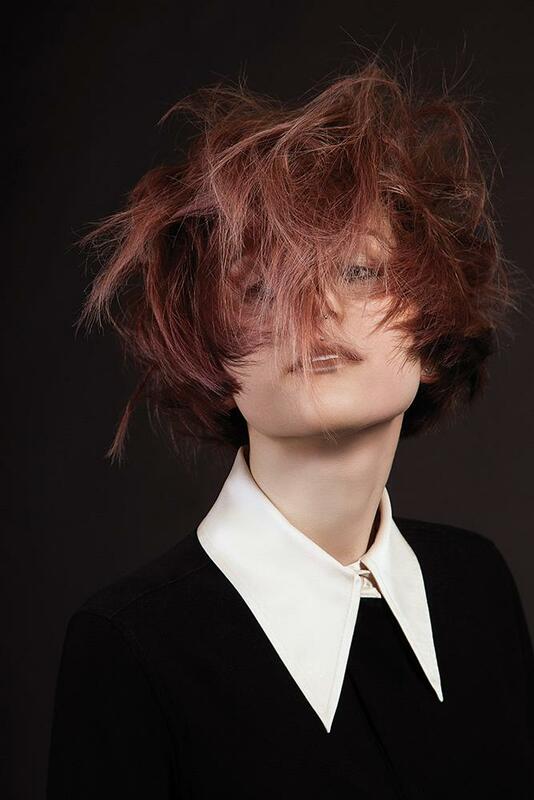 Hair for busy women: our top pro’s, Akemi Tamaribuchi and Erica Campbell, give us their time saving tips on styling, cuts and color. 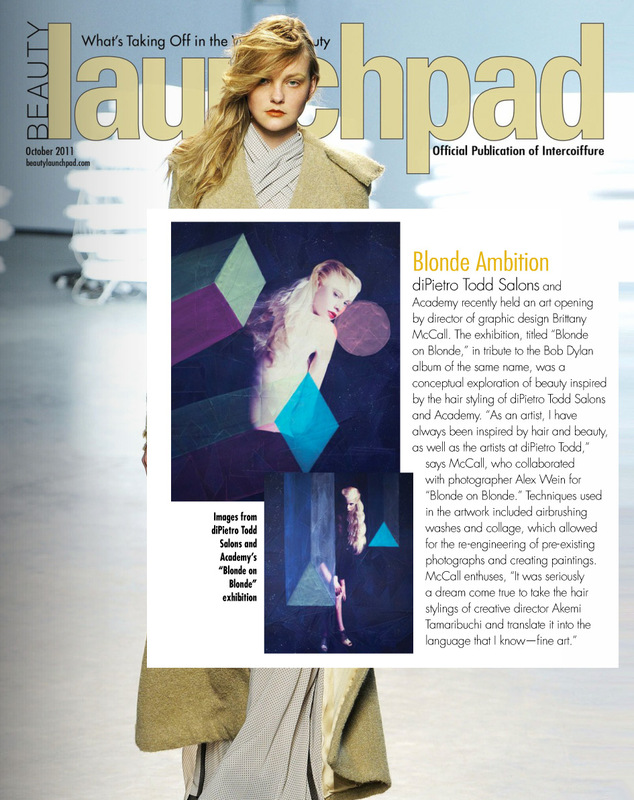 Blonde Ambition: diPietro Todd Salons + Academy recently held an art opening by director of graphic design Brittany McCall. 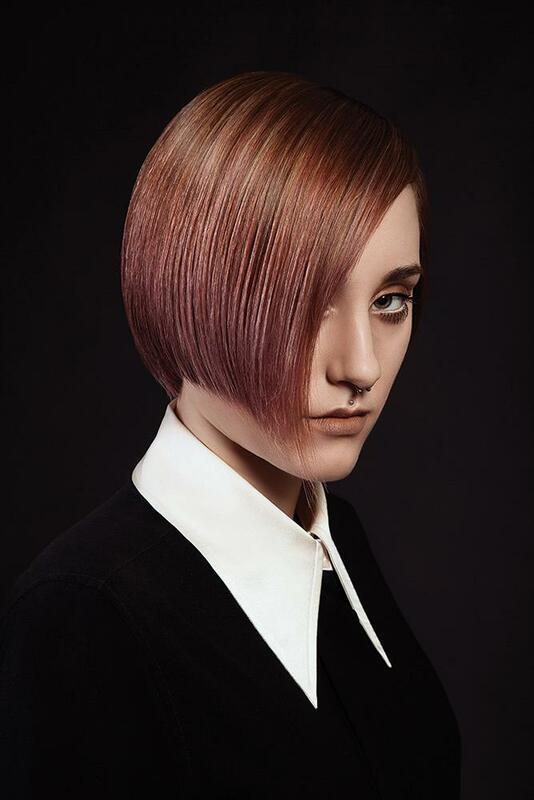 Light Show: Pale Perfect the latest collection from dPT features bold yet monochromatic palette + multi-textured styling by Creative Director Akemi Tamaribuchi + Colorist Emily Kern. 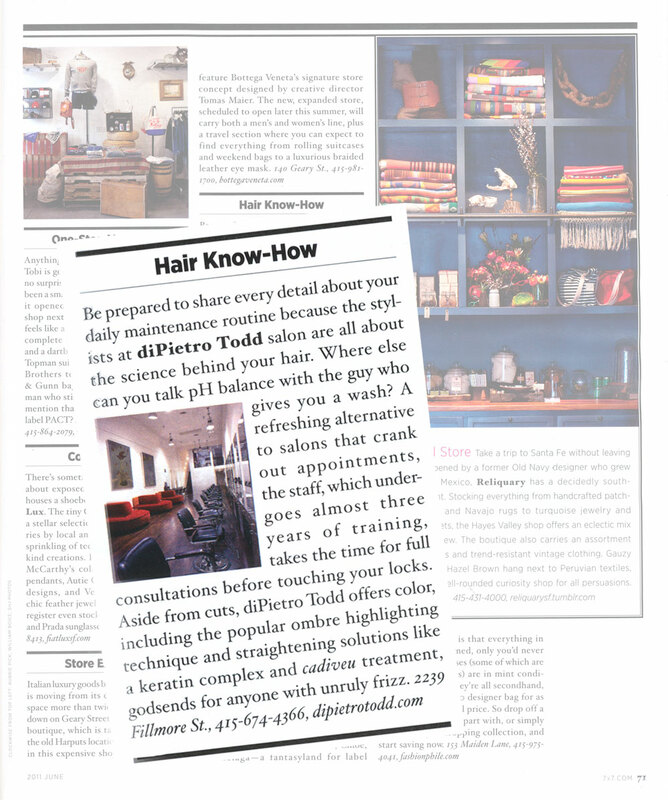 Hair Know How: diPietro Todd brings clients thorough consultations, hair science, + the latest trends. 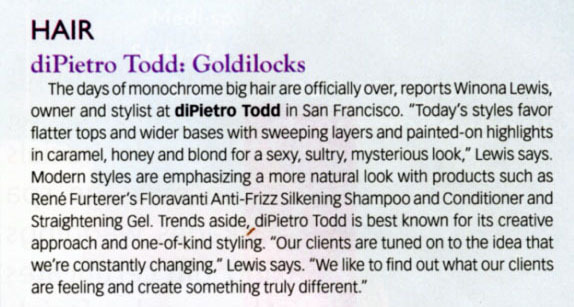 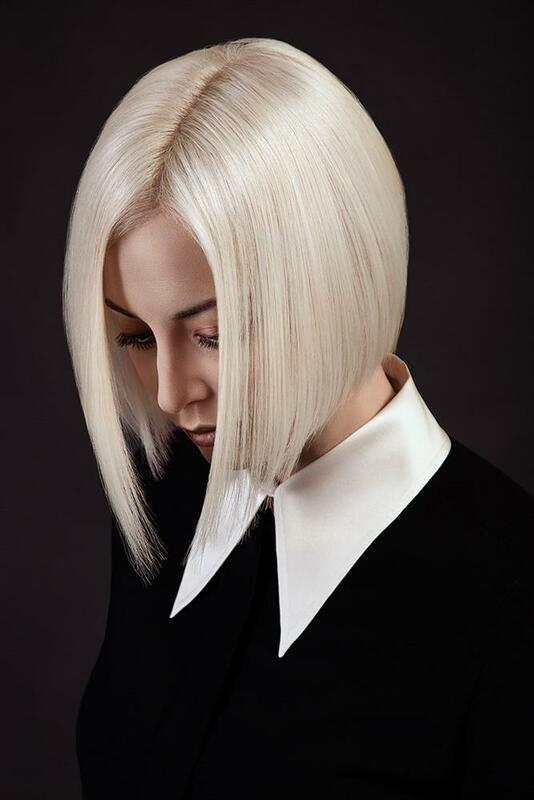 diPietro Todd teams up with L’Oréal Professional for Collective V3. 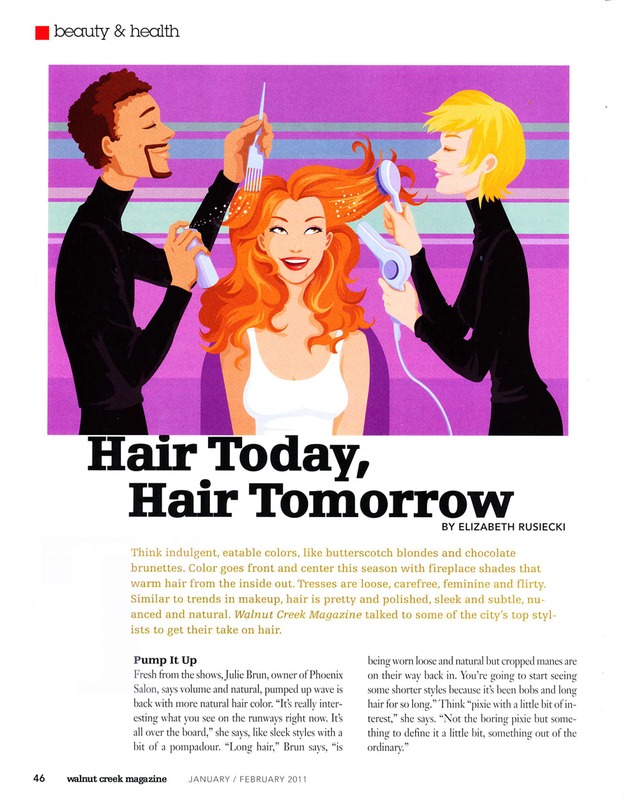 Our Creative Director, Akemi Tamaribuchi gives a great break down on the science behind hair and how best to go about damage control. 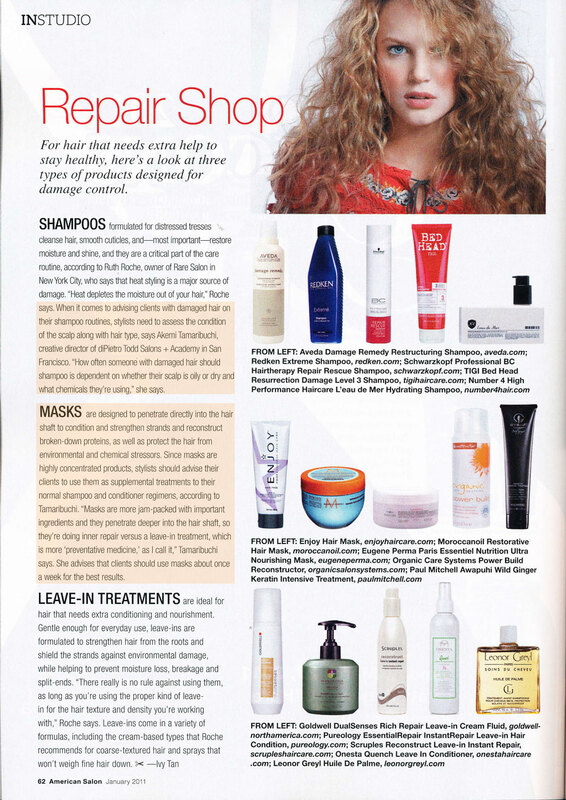 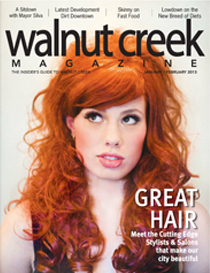 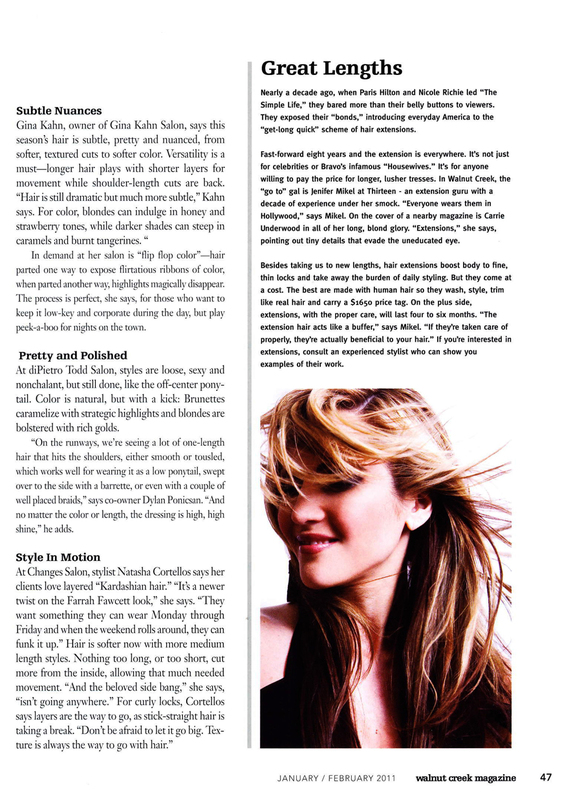 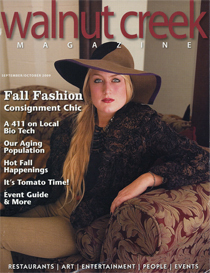 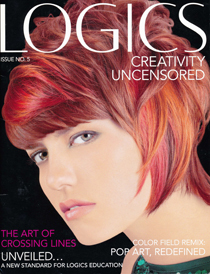 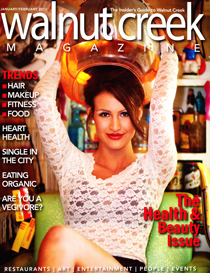 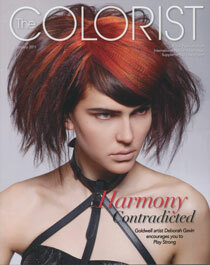 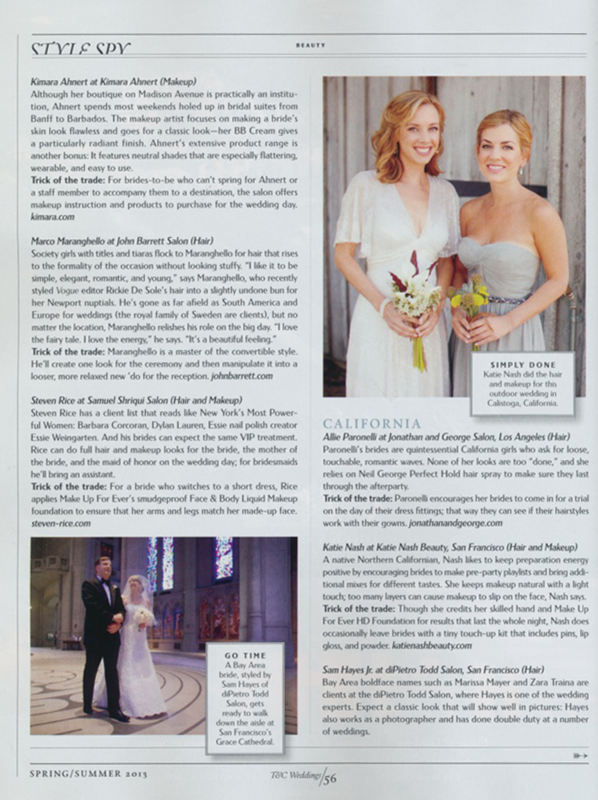 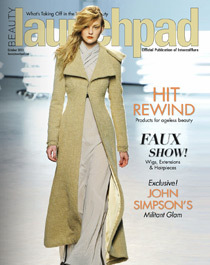 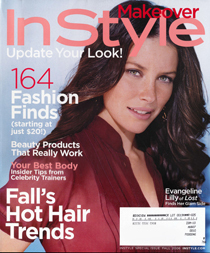 Walnut Creek Magazine talks to WC’s top stylists to get their take on hair trends of the season. 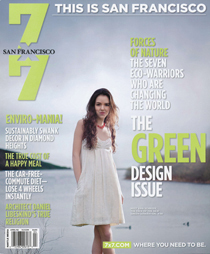 dPT’s co-owner Dylan Ponicsan gives his forecast for spring 2011. 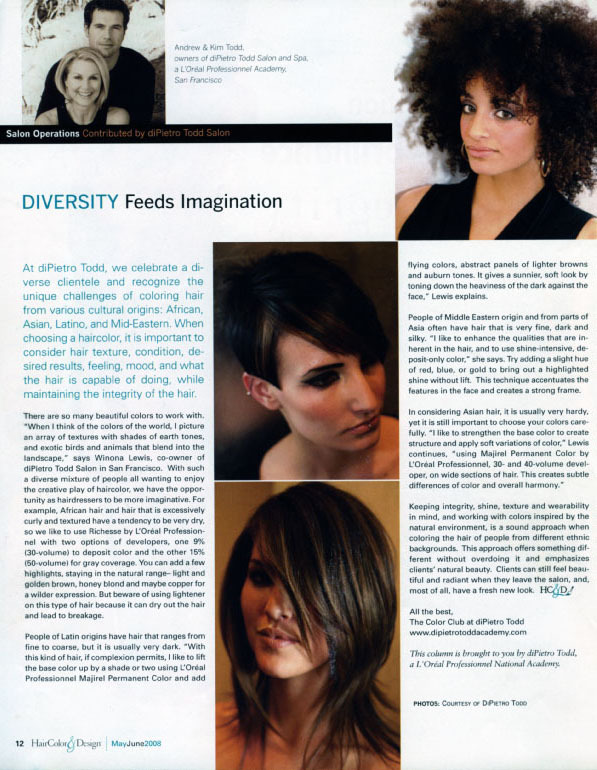 Having a salon rewards program reinforces [diPietro Todd Academy’s] core belief that continued education creates growth. 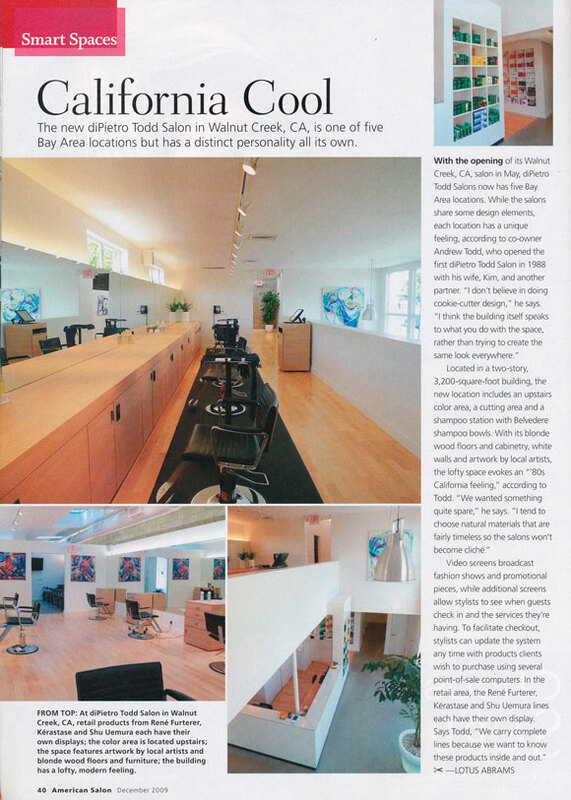 Dylan Ponicsan of diPietro Todd Walnut Creek discusses how diPietro Todd excels in customer service. 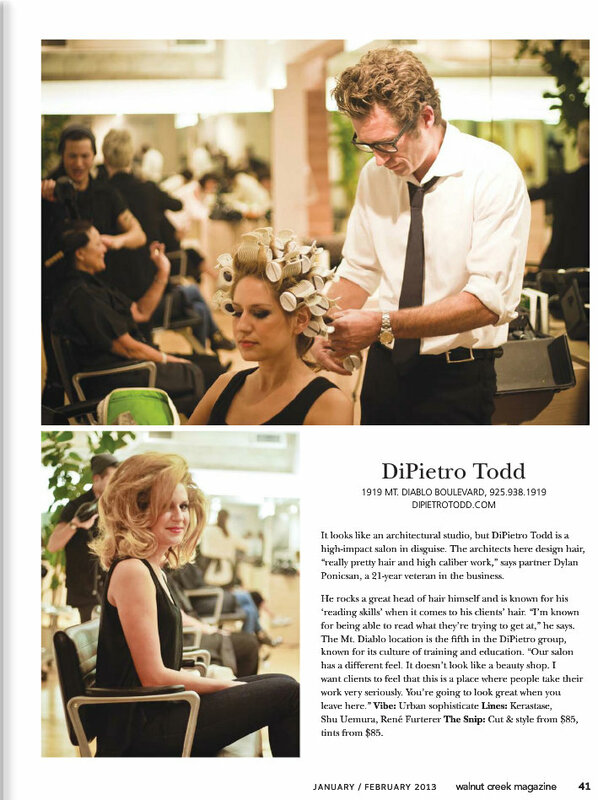 The new diPietro Todd Salon in Walnut Creek is one of five Bay Area locations but has a distinct personality all its own. 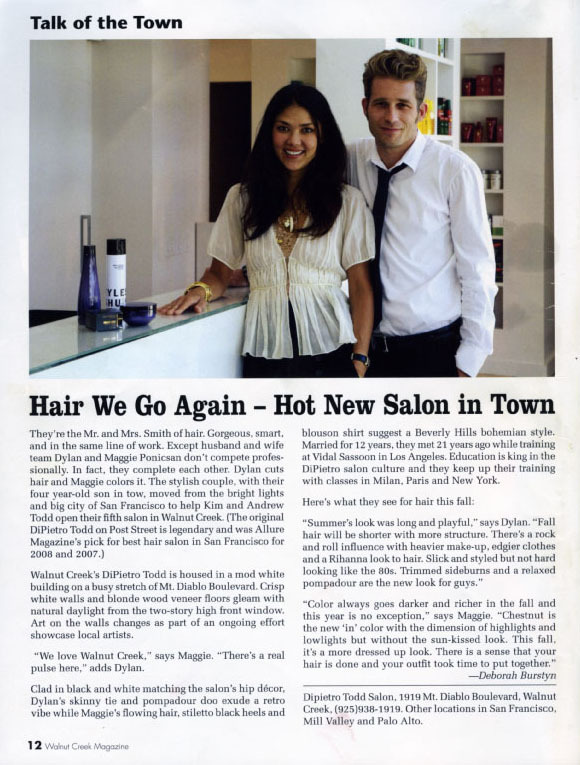 Hot New Salon in Town: Dylan and Maggie at diPietro Todd Walnut Creek. 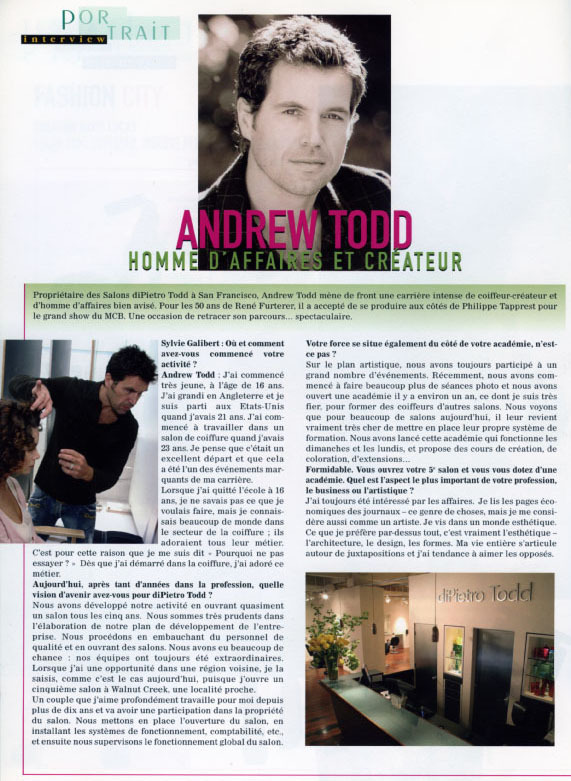 Machine Dreams: A shout out to Andrew Todd. 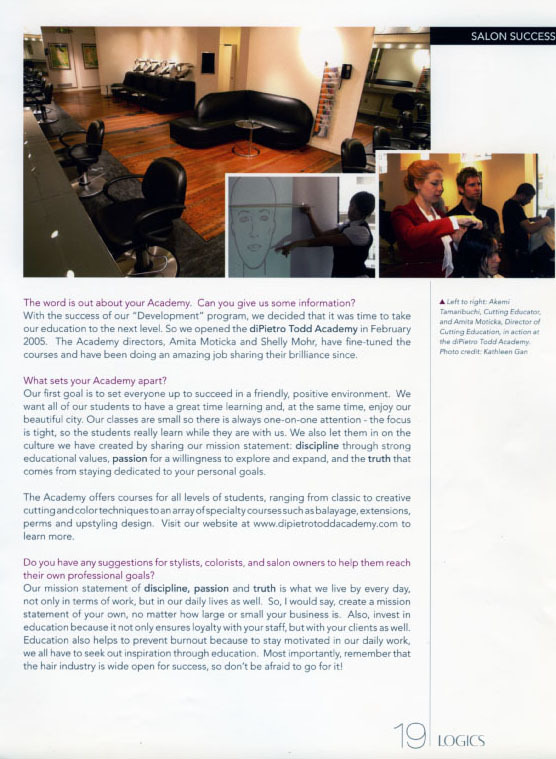 An in-depth look at diPietro Todd’s Academy. 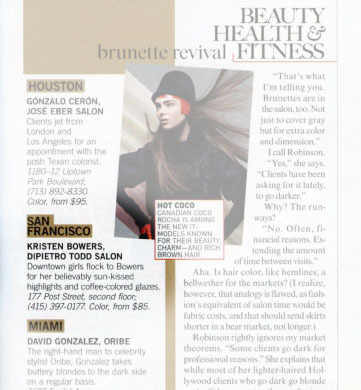 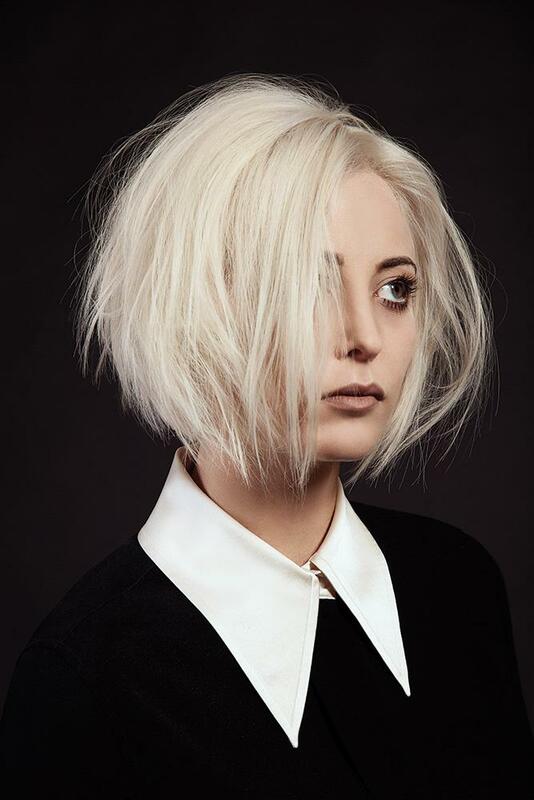 Downtown girls flock to [dPT colorist] Kristen Bowers-Robles. 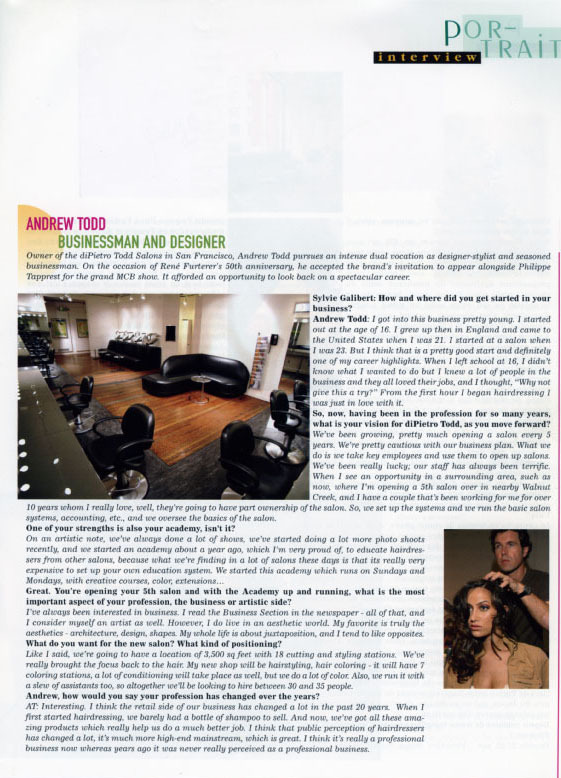 Portrait of Andrew Todd: interview and background of Owner and Founder of diPietro Todd Salons + Academy. 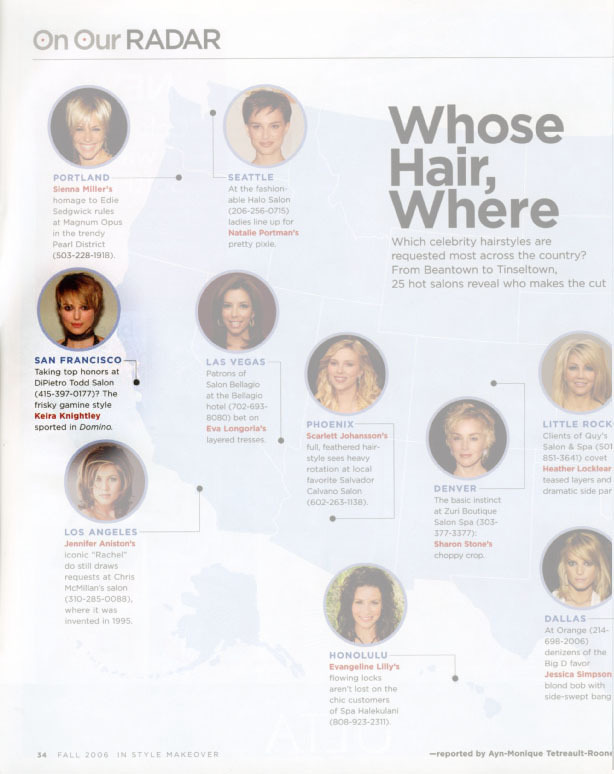 The most requested celebrity hairstyles, by city!